SD's Most Trusted Roofing Pro. Give us a Call Today for an Estimate! Your property is a major investment that you are constantly trying to protect. When looking to repair or replace your roof in California, it is absolutely essential that you turn to a company that has a long history of reliable and quality service. With more than 20 years of experience, customers all over California have trusted Level 1 Roofing to keep a reliable roof over their heads. Whether you are looking for an inspection to assess any problems with your roof or already know that it needs to be repaired or replaced, our company is here to help you and give you peace of mind in the process. Distinctive Home Improvements treats all of our customers like friends and family and won't ask for your final payment until you are 100% satisfied! With over 25 years experience in the construction industry we’ve learned a lot about what it takes to be a multi-dimensional success. Customer service is our top priority and our #1 goal is to make every customer a reference. We know this industry is competitive and we answer that challenge by keeping our overhead as low as possible so we are able to offer top quality products and services at great prices. We honor our estimates for an entire year. In fact, we encourage our potential clients to go out and get a few estimates for their project. That way we start the job off right with our customers feeling comfortable and knowledgeable about their decision to do business with Distinctive Home Improvements, Inc.
Roofing Specialists of San Diego is a family owned and operated roofing business.We entered the roofing industry in 1994 and became a licensed San Diego roofing contractor in 2002. 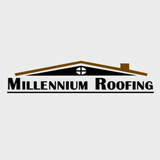 Today, we continue to offer roofing repair and new roofing installation in the San Diego area. Owner, Eric Richardson, is a third-generation San Diego Native, who believes in providing customers with quality work at a competitive price. While Eric was attending Mira Mesa High School, he would spend his summers working as a San Diego roof installer. It was during that time that Eric decided he wanted to pursue a career as a roofer. But – he didn’t just want to own any roofing company, he wanted to own a roofing company that provided San Diego roofing customers with products and installation services that exceeded industry standards. That’s why Eric bases the company’s business model around quality work and fair prices that homeowners and businesses can afford. Eric uses his expertise to personally inspect the work of every job. He even gives his personal guarantee that every customer will receive the highest quality service. Eric and our team are committed to providing all of our clients with high-quality roofing services. We take all possible precautions to ensure your new roof exceeds industry standards and will withstand even the harshest environmental conditions. We don’t believe in ‘good enough’ – which is why we go above and beyond the manufacturer’s installation requirements and adhere to an installation system that demands careful attention to detail and the use of superior roofing materials. Roofing Specialists of San Diego will meet – and exceed – all of your needs. For quality work at an affordable price – give us a call or fill out the contact form on this page. We’re happy to provide you with a FREE, no obligation roofing estimate! A Family Owned, Full Service Commercial and Residential Roofing Contractor. At Regan Roofing, we have the experience, knowledge, project management and installation crews to take on a wide array of project types, from re-roofing of your personal home to the production installation of a multi-unit project. We are expert in both new construction and re-roofing and welcome the opportunity of working with you! High end architectural and interior copper, including roof, gutters downspouts, fireplace surrounds, bathtubs and kitchen sinks, ornamental repousse copper smiting work. Own fabrication of ornamental cast brass gutter and downspout hardware. Since 1987, J.L. Ray Company has been building a reputation of quality and professionalism one project at a time. We are a dedicated team of highly skilled full service contractors committed to customer satisfaction. Offering exceptional craftsmanship, the finest in materials, and the best guarantees in the industry, at J.L. Ray, we go all-out for our customers. South County Roofing is a roof repair only roofing company. We specialize roof inspection, tune ups, and roof leak detection. Pride Roofing OC, established in 1980, has helped refine the roofing industry standards and techniques throughout Orange County, California and beyond for over 34 years. Roofing is our specialty and we can help with roof replacement, roof repair, new roofs, skylights, and roof framing. We do it all roof sloping, carpentry, custom metals, cricket systems, seamless rain gutters you name it. We install all types of roofing systems as well. Roof maintenance and preventative leak maintenance is what also sets us apart from the competition. When repairing a roof we do not patch, we permanently fix the problem and our warranties will give you that peace of mind. Our main goal at the end of every single job is customer satisfaction. We take pride in all of our work and strive to do our best by providing excellent customer service, competitive prices, and quality workmanship. 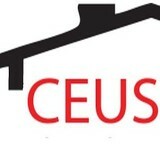 Please give us a call now for a free roofing estimate. Our team members are honest, reliable, and knowledgeable. What do roofing companies in Del Mar, CA do? Your Del Mar, CA roofing contractor can install a new roof or repair an old one, as well as repair and replace gutters. Good roofers in Del Mar, CA should be able to promptly inspect roofs and gutters to assess damage after a natural disaster or other event, and give you an estimate for the necessary roof repair immediately. Some Del Mar roofing companies specialize in specific types of roofs, such as tile or metal, so make sure the one you are interested in works with the materials you have or desire. Find a Del Mar roofer on Houzz. Narrow your search in the Professionals section of the website to roofing companies in Del Mar, CA. If you’re planning a large-scale project, find other professionals on Houzz who can help get the job done. Here are some related professionals and vendors to complement the work of roofing & gutters: General Contractors, Specialty Contractors, Siding & Exteriors, Door Sales & Installation, Garage Door Sales & Installation.